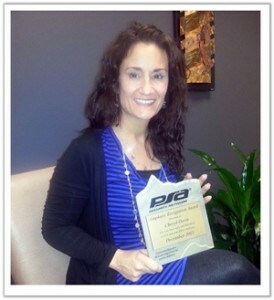 PSA Security Network – world’s largest systems integrator consortium » Congratulations to Cheryl Davis, PERA award winner! Congratulations to Cheryl Davis, PERA award winner! Congratulations to Cheryl Davis, winner of this quarters PSA Employee Recognition Award (PERA) for her outstanding performance!